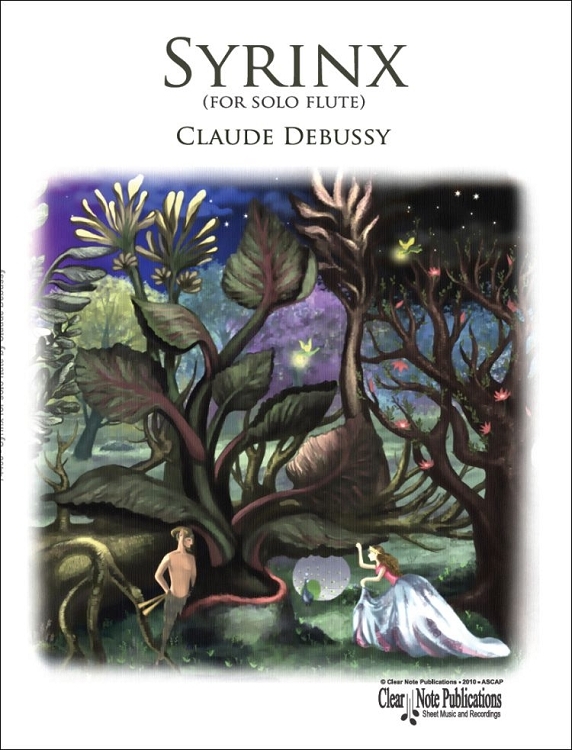 Syrinx for solo flute, was written by French composer Claude Debussy in 1913. It is commonly considered to be an indispensable part of any flutist's repertoire. Historians believe that "Syrinx", a work that gives gives the performer generous room for interpretation, played a pivotal role in the development of solo flute music in the early twentieth century. "Syrinx" was originally written by Debussy without any barlines or breath marks. 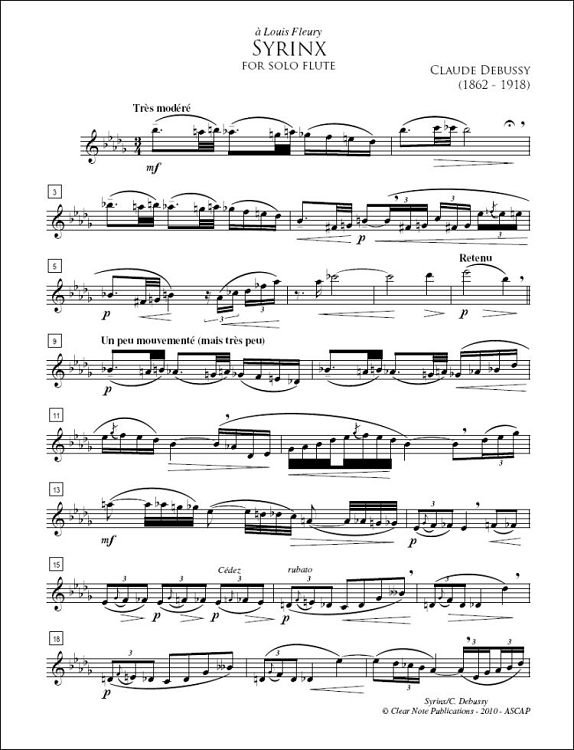 Flutist Marcel Moyse later added these, and they are included in this edition. "Syrinx" was written as incidental music to the uncompleted play Psyché by Gabriel Mourey. It was intended to be performed offstage during the play, and was originally called "Flûte de Pan". Since one of Debussy's Chansons de Bilitis had already been given that title, it was given its final name in reference to the myth of the amorous pursuit of the nymph Syrinx by the god Pan. The piece is dedicated to the flutist Louis Fleury and is performed here by Nicole Chamberlain.